As a Partner with Commonwealth Financial Group, Justin Hayward works with rising young professionals; educating them on how to manage their cash flow and maximize their financial potential while making the appropriate plans to help protect their families and preserve accumulated wealth. Although Justin’s client base is diverse, due to his knowledge and experience, many individuals in private equity, medical, legal and real estate industries highly value his skills as an advisor. Justin’s understanding of family business dynamics comes from his own family of entrepreneurs, who have run a school photography business for over 30 years. His own experience growing up in a family-owned business has enabled him to help business owners succeed by crafting plans to address their fundamental questions, such as: What is my exit plan? How will I support my family when I decide to leave or sell my business? How do I use my business to maximize my personal wealth? How do I realize and protect my biggest asset the value of my business? 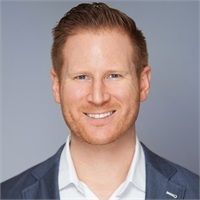 Justin earned his Bachelor of Business Administration in Entrepreneurship from Hofstra University, and his early career centered on successfully starting, managing and exiting several businesses in the health and wellness industry. Justin’s financial services career began in 2011 when he joined Commonwealth Financial Group. In 2015, Justin received the 4 under 40 Award for the National Association of Insurance and Financial Advisors (NAIFA MA) recognized for his growth and success in the industry. Outside of the office, Justin volunteers his time with Raising a Reader MA A non-profit focused on helping childhood literacy in urban neighborhoods and is involved in real estate development in the Greater Boston Area. Justin resides in Wellesley, MA with his wife Lydia.